In examining the Saddam Hussein regime’s long relationship with al-Qaeda, a noticeable sub-theme is the connections the Saddam regime had with the Taliban theocracy in Afghanistan. The evidence accumulated suggests that Saddam’s policies in his later years, namely the Islamization of his own regime and instrumentalization of Islamists in foreign policy, included welcoming relations with the Taliban. The Saddam regime’s contacts with al-Qaeda date to the 1990-91 Gulf War. The first direct contacts between the Iraqi Intelligence Service (IIS) and al-Qaeda took place after Osama bin Laden moved to Sudan in 1992. Saddam and al-Qaeda reached a non-aggression pact in 1993. After bin Laden moved to Afghanistan in May 1996, the Iraqi Embassy in Pakistan became the “point of contact” with al-Qaeda. It is little surprise that, in maintaining his connection with al-Qaeda, Saddam should develop connections to the Taliban. As in Sudan, al-Qaeda in Afghanistan becomes virtually indistinguishable from the Taliban government. In both Sudan and Afghanistan, al-Qaeda supplies money and battle-hardened troops to regimes engaged in civil wars; in return al-Qaeda gets land for training camps and the functions of a State such as passports and diplomatic pouches to move weapons and other contraband. One of the repeated requests from al-Qaeda to Saddam through the 1990s is for training camps on Iraqi soil. This request is never shown in the documentation to have been refused. The Fedayeen Saddam, a fanatically loyal Praetorian unit with a notably Islamist character, ran training camps for foreign terrorists at Salman Pak and around Lake Tharthar; at least 8,000 men graduated those camps during the Saddam years (and this continued afterwards). Whether al-Qaeda had men trained at Saddam’s camps is simply unknown. Al-Qaeda did get training camps on Iraqi soil before the end of Saddam’s regime, however. In 1998, Kurdish Salafi-jihadists began infiltrating back into northern Iraq from Afghanistan, through Iran. With al-Qaeda seed money and under the guidance of men loyal to Islamic State (ISIS) founder Abu Musab az-Zarqawi, the holy warriors in Kurdistan would merge into Ansar al-Islam and take control of a five-hundred-square-kilometre strip of territory on which they opened training camps. Ansar was provided with money and weapons from the Saddam regime in its war against the Kurdish government, and Ansar’s strategic driver, formally third-in-command, Saadan Mahmoud Abdul Latif al-Aani (Abu Wael), was an IIS officer. Ansar has merged into ISIS. What role the Qaeda-affiliated forces trained in and by Saddam’s Iraq had on the Taliban’s success in the Afghan civil war is unsayable on the available evidence. Saddam’s relationship with al-Qaeda deepened beginning in 1998, at Saddam’s initiative, a reversal from earlier in the 1990s when al-Qaeda was reaching out to Baghdad, according to the 9/11 Commission Report. In February 1998, bin Laden’s then-deputy and current al-Qaeda leader Ayman az-Zawahiri, had met with Saddam’s vice president, Taha Yassin Ramadan, in Baghdad, just days before the bin Laden fatwa calling for attacks on Americans everywhere, citing as the primary grievance the U.S. “aggression against the Iraqi people”. In March 1998, two al-Qaeda operatives arrived in Iraq to meet with Saddam regime officials. And on March 5, 1998, an al-Qaeda envoy named only as “Mohammed F. Mohammed,” arrived in Saddam’s capital, facilitated by IIS’s Sudan station, to discuss “the future of our relationship”. “Mohammed” stayed in Room 414 at Mansur Melia Hotel as a guest of Iraqi intelligence, and left on March 21. There are convincing reasons to doubt this, and one of them is the clear evidence that the Saddam-Taliban relationship began to burgeon later in 1998, a relationship difficult to sustain without some contact with al-Qaeda. In July 1998, “an Iraqi delegation traveled to Afghanistan to meet first with the Taliban and then with bin Laden,” the 9/11 Commission Report notes. In December 1998, two separate Saddamist delegations visit Afghanistan “to recruit Muslim ‘elements’ to sabotage U.S. and U.K. interests.” At the first December meeting, two IIS officers from the Pakistani Embassy meet with bin Laden, Zawahiri, and Taliban leader Mullah Muhammad Omar. Another IIS delegation visits Afghanistan in early 1999. At this time, late 1998/early 1999, intelligence reporting indicates, bin Laden’s relations with the Taliban are strained and Saddam is offering bin Laden asylum, an offer bin Laden considers. 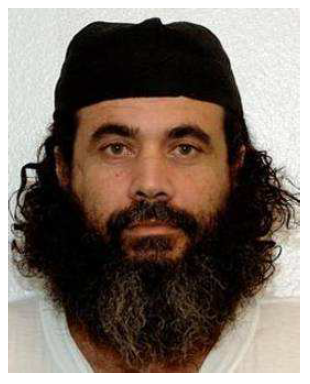 In the previous post I pointed to Jawad Jabbar Sadkhan al-Sahlani (Mullah Abdullah), a former Iraqi inmate at the Guantanamo Bay detention camp, as another connection between Saddam and al-Qaeda. So he is. Sadkhan was “linked to al-Qaida senior leadership,” according to his Guantanamo file, not least by two payments totalling over $100,000 from bin Laden personally to Sadkhan’s “charity”—money that was probably intended as a bribe to get Sadkhan out of Northern Alliance custody in late 2001, showing the value al-Qaeda’s leaders placed on Sadkhan. And Sadkhan, himself a former Iraqi intelligence officer, maintained contact with Saddam’s regime. But it was noticeable that Sadkhan’s primary work was for the Taliban. Sadkhan was a “senior Taliban Intelligence Directorate officer,” “a Taliban subcommander in Mazar-e-Sharif, and a Taliban recruiter,” according to the Guantanamo file, and was tied to Nashwan Abd al-Razzaq Abd al-Baqi (Abdul Hadi al-Iraqi), another former Iraqi intelligence officer, who led al-Qaeda’s 55th Arab Brigade, an elite squad committed to helping the Taliban. Moreover, Sadkhan’s connections with Saddam were mostly employed on behalf of the Taliban. Sadkhan “provided liaison between the governments of Afghanistan and Iraq,” i.e. the Taliban and Saddam Hussein, according to his file. Sadkhan brought “unidentified supplies from Iraq through Iran on multiple occasions,” for which Sadkhan “receive[d] money from the Taliban” that allowed him to live a “lavish” life in poverty-stricken Afghanistan. Another track Saddam and the Taliban had running was through a very important Pakistani cleric and politician, Mawlana Fazlur Rehman, called the “godfather” of the Taliban by some (a title also given—with more justification—to Mawlana Sami ul-Haq). Rehman, who leads Jamiat Ulema-e-Islam, is a long-time friend of Mullah Omar and, through him, Rehman is connected with numerous al-Qaeda groups. Rehman met in Baghdad with vice president Ramadan on November 28, 1999. The details of this meeting were discovered by Ray Robison, a member of the Iraq Survey Group. Ramadan was part of the Quartet—with Izzat Ibrahim ad-Douri, Tariq Aziz, and Ali Hassan al-Majid—that kept Saddam in power. In other words, this wasn’t freelancing by Ramadan. Everyone, even children in the streets knew that [the Taliban] were created and controlled by Pakistan. Their leader Fazlur Rehman is a friend of Benazir [Bhutto], Saddam and Qaddafi. It is conceivable that this is a reference to Fazlur Rehman Khalil; in context it seems unlikely, argues Robison. 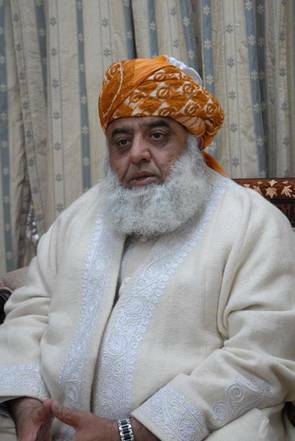 Mawlana Fazlur Rehman had connections with Muammar el-Qaddafi, which Khalil did not, for example. Ramadan tells Rehman his “stand is with [bin Laden’s] call to fight America,” writes Robison, and Rehman, pleased with this, replies that he “met Mullah Omar … and he welcomed the establishment of Islamic relations with Iraq”. Rehman make reference to a visit with Mullah Omar in July 1998 at which he proposed meeting Saddam personally on Omar’s behalf. (Whether this was the same meeting at which the Saddamists met Omar in Afghanistan is unclear.) Rehman also invites Ramadan to send an Iraqi regime delegation to Kandahar. Rehman goes on to explain that the Taliban want Saddam’s Iraq to help them mediate with the Northern Alliance and Russia—Saddam’s closeness to Moscow being a feature of his regime from its earliest days. Nor was Saddam only connected with the Taliban and al-Qaeda in Afghanistan. Rehman says that he has met with Gulbuddin Hekmatyar and “delivered him your letter”. Hekmatyar’s reply is said to have been “positive”. “They are our brothers,” Hekmatyar said of Saddam and his henchmen. Hekmatyar was a major figure of the anti-Soviet resistance and is now—with Mullah Omar and Sirajuddin Haqqani—one of the major leaders of the insurgency against the elected Afghan government. 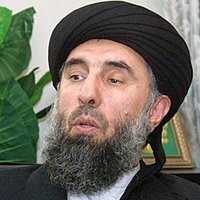 Hekmatyar is also, incidentally, one of the most important Iran-aligned figures in Afghanistan. The Taliban’s outreach to Saddam came at a time of (even by their standards) intense international isolation. In August 1998, the Taliban had murdered Iranian diplomats in Mazar-i-Sharif. Iran had considered a direct military attack on the Taliban regime, but resorted to increased support for the Northern Alliance. Russia was convinced—as Rehman mentions in this meeting—that the Taliban was supporting the Chechen insurgency, so Russia was supporting the Northern Alliance. In early 1999, the U.S. had been considering a strike on Afghanistan to get bin Laden, as the 9/11 Commission documents. (This is among the reasons bin Laden is considering a move to Saddam’s Iraq at this time.) And the military coup in Pakistan in October 1999 had cast some doubts about the Taliban’s lifeline in Islamabad. For the Taliban, threatened by the Americans and under pressure within Afghanistan from various groups, some of them supported by the Russians, a relationship with an anti-American regime like Saddam’s that had good connections with the Kremlin and some of the other Afghan factions seemed like a good idea, as Rehman explained in a second meeting in Baghdad on the same day he met Ramadan. The notes of Rehman’s second meeting, also discovered and translated by Robison, show a meeting with an official named only as “M.O.M.,” who is conceivably—from various clues in the transcript—Tahir Jalil Habbush al-Tikriti, the IIS director. 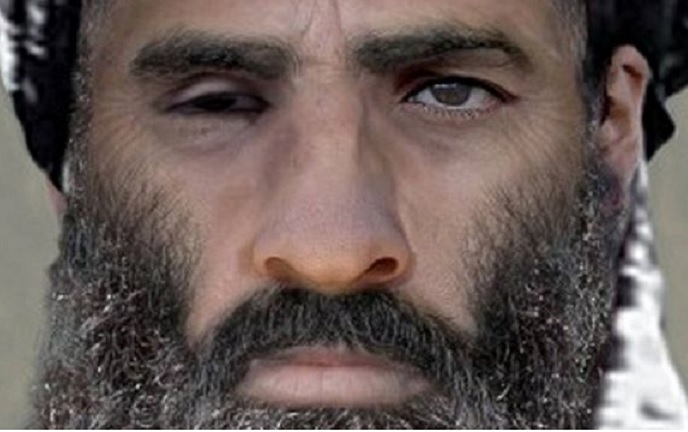 Mullah Omar “desires to get closer relations with Iraq,” Rehman says, and focussed on three issues: working against America, and helping improve the Taliban’s relations with Russia and Hekmatyar. Because the Taliban is “facing [pressure from] America and Russia,” Rehman says, Mullah Omar is keen on Saddam “intervening to build a friendship with Russia” for the Taliban, and using Saddam’s “independent relation” with Hekmatyar to reconcile Hekmatyar with the Taliban. The Iraqi official also has three main talking points. First, M.O.M. stresses that Baghdad thinks “the relation with the Taliban is essential,” whether or not reconciliation with Hekmatyar can be arranged, and Saddam-Taliban relations should be developed through further meetings because there are “no points of disagreement” and a common Western enemy. M.O.M bluntly states: “We hope that [the Taliban] will win”. This might be taken as simply flattering a guest—except that the guest is a Taliban emissary in Baghdad, a dangerous thing for Saddam to be doing in the first place. In truth, this is a continuation of Saddam’s foreign policy, begun in the early 1980s, of allying with the most militantly anti-American Islamist forces. Second, M.O.M. suggests deepening Baghdad’s connection with the Taliban through an intelligence relationship. “We will arrange relations between us, as an intelligence service, and [the Taliban] in a secret way to establish the strong base of this relation,” M.O.M. says, suggesting that a covert but deep intelligence relationship between Saddam’s Iraq and the Taliban would allow Baghdad to “stabilize” relations between the Taliban and Russia by convincing Moscow that the Taliban was no threat. Rehman replies that the Taliban had been waiting for an answer on beginning an intelligence relationship with Saddam’s Iraq and this can start immediately from Iraq’s Embassy in Pakistan. That Osama bin Laden and the Taliban … are in communication with Iraq and … have visited Iraq. That America has evidence that the Iraqi government and the group of Osama bin Laden have cooperated to attack targets inside America. In the event that it has been proven that the group of Osama bin Laden and the Taliban planning such operations, it is possible that America will attack Iraq and Afghanistan. That the Afghani consul heard of the relation between Iraq and the group of Osama bin Laden while he was in Iran. The information is third-hand at best (the Iraqi informant hears it from the consul who has heard it from others), there is no way of knowing what Dahestani’s sources are, and even then the document is dependent on 11002 having accurately relayed what Dahestani said; the possibility that 11002 was simply filling space in order to cash his cheques cannot be ruled out. Still, it does suggest that the relationship between Saddam and the Taliban was extensive enough that IIS had a chance to embed spies in the Taliban regime, not something that can be done if Iraqis intelligence officers—whether under diplomatic cover or not—are so rare in Afghanistan that they arouse suspicion. What came of all this it is impossible to say, but to the extent it is a moot point it is only because both the Taliban and Saddam regimes are gone: the clearly friendly relations between Saddam’s Iraq and the Taliban—however informal and covert—would have been a cause for worry had they been allowed to continue.